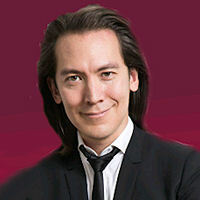 Mike Walsh, best-selling author of FUTURETAINMENT and CEO of innovation research lab Tomorrow, is a leading authority on the digital future. He helps to prepare business leaders for what’s next. Rather than focusing on the distant future, Mike takes an anthropological approach – scanning the near horizon for disruptive technologies and consumer innovations on the verge of hitting critical mass, and then translating these into usable business strategies. Mike’s expertise is explaining new patterns of consumer behavior and disruptive technologies in emerging markets. His advisory work and keynote presentations provide unique insights into the growing influence of new markets on breakthrough innovation and business transformation. A global nomad constantly traveling the world for the best ideas – Mike distills the most relevant insights into tailored keynotes that allow any audience to not only understand, but also start to inﬂuence the future direction of their industry. 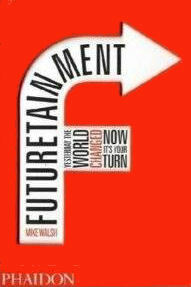 Mike Walsh helps prepare business leaders for what’s next. With an engaging blend of first hand stories, global case studies and cutting edge research into consumer and technology trends – Mike can bring the future to life for you and your audience. You can experience these topics as either a high impact 50 minute keynote or a half day workshop with interactive exercises and facilitated discussion. Supported by a global network of analysts and researchers – Mike takes the time to work with you and your team to tailor his presentations to directly address the issues directly relevant to your company and industry. What does it take to lead a 21st century company? New technology is not only an opportunity to improve productivity, it invites us to ask a much bigger question – can we re-imagine the way we do business? Forces of change surround us. Whether it be generational turnover, the Cloud, mobile work, or the rise of the social enterprise – the companies that thrive in the near future will be the ones that not only embrace change but are the first to break the rules. The future is already here – you just need to know where to look. Virtual currencies in China, web organized ﬂash mobs in Korea, and cashless mobile banking in Africa – sometimes the most disruptive product ideas come from the most unlikely of places. The secret to seeing what’s coming next is to pay close attention to the spaces where all the rules are being broken. Come on a fast paced global tour of the disruptive technologies that will directly impact you and your industry. What we think of the Web today is only a fraction of its future potential. The Divergence marks the point where everything we know about the digital world will change. In the coming years, the emerging markets of China, India and Brazil will rapidly overtake the West not only in their rates of economic growth, but as the dominant commercial and cultural inﬂuences on the development of the Web. How we interact, transact and entertain ourselves in the future will be shaped by new forms of consumer behavior never seen this side of Silicon Valley. Forget everything you know about West Coast Web etiquette. Tomorrow’s Web will be a milieu of competing cultures – simultaneously a source of conflict and also a wellspring of consumer innovation. Information may be power, but power is also be information. Global environmental concerns are driving not only new investment in renewable energy but also the transformation of the analog power grid into a smart, digital network. What we think of today as a simple electricity outlet will soon become a node in a new networked ecosystem of appliances, applications, and consumer data. The rise of the Enerweb will attract both new kinds of players and encourage new forms of consumer behavior, forever changing the way we think about energy. While faster processors, bigger screens and more powerful features steal the headlines – the true mobile revolution plays out daily in its continuing impact on the way we live, work and play. The next generation of phone technology is less about innovative hardware, and more about providing consumers with ubiquitous, high speed access to our social, professional and entertainment networks. From location based technologies, to gesture based interfaces and integrated financial services – the future of your phone may be no phone at all. For advertisers and platform providers alike – the secret to understanding the mobile business of tomorrow is to understand how today’s consumer is already changing. NEXTLAB is a unique learning format. Part insights brieﬁng and part hands on innovation workshop – you will learn to apply the latest tools and techniques that future forecasters use to map out the most signiﬁcant technological, social and commercial trends on the near horizon. NEXTLAB is a 90 minute session designed for small, dynamic groups. The workshop is divided into three sections – theory, tools and application. In the ﬁrst section, we discuss the latest thinking around innovation and consumer behavior, and their inﬂuence on future outcomes. The next module – tools – is focused on the insight gathering methods used by the world’s best forecasters and explains how you can apply these in your every day activities. Finally, in the third section we conduct a series of practical group exercises that facilitate building a picture of the future of your individual company and industry. This session is an engaging, interactive workshop focused on helping business managers and entrepreneurs harness social networking to transform their customer marketing and communications. Incorporating live demonstrations and case studies of brands that have successfully used services like Facebook, Twitter and Linkedin – this workshop uncovers some of the secrets that social networking gurus use to turn their customers into evangelists.